Of: a sense of balance in which the world is divided into contrary or opposing points of origin; the present location of an object caught in such a state of balance is defined by where it came from; similar to again, the energy that contains the new placement, or point of presence or the present, of the travelling being or object; and against, the actual energy of the point of departure, which a traveller uses as a springboard, to push off against. 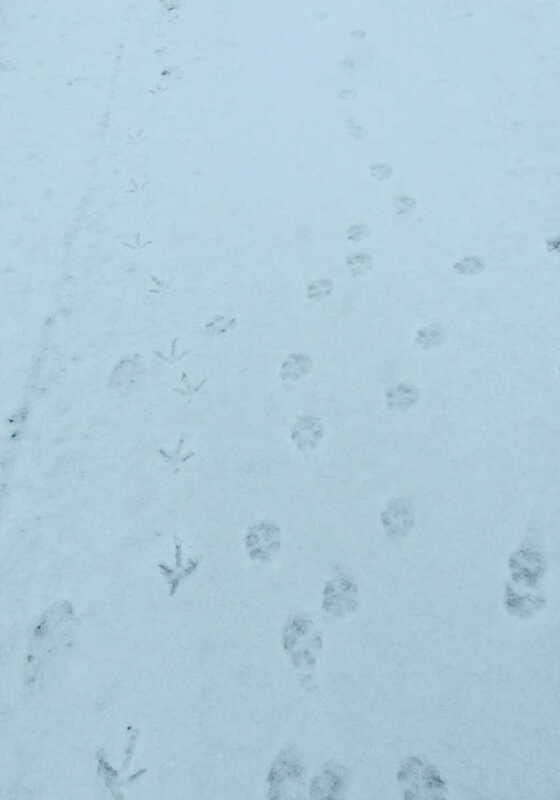 Coyote Tracks Crowding West; Pheasant Tracks Strutting East. Shhh.